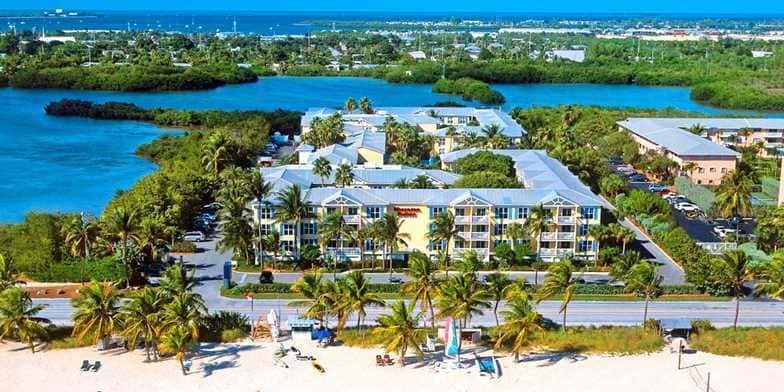 This all-suites hotel is located across the street from Smathers, the largest beach on the island. Each suite offers a living room with wet bar, microwave, fridge and sink, very useful for light breakfast or late night snacks. A sleeper sofa in the living room offers additional bedding. The separate bedroom with sliding door offers privacy, and either a king bed or two queen beds. The bathrooms are spacious with access to both the bedroom and the living room. The grounds are gorgeous and filled with tropical plants including flowering ginger and bougainvillea. 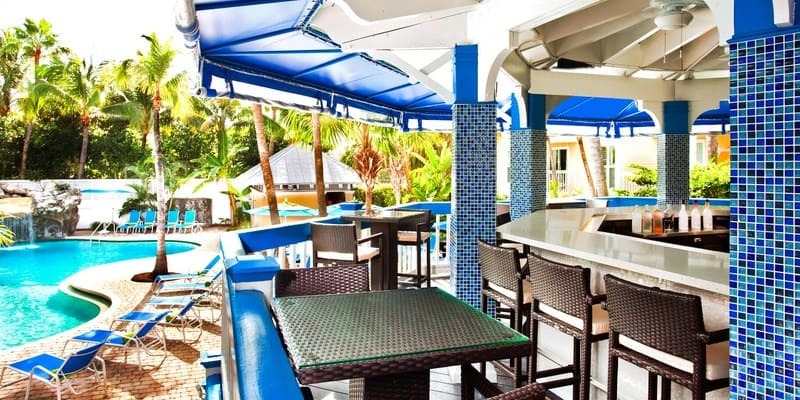 The hotel offers a fitness center, a business center and a restaurant plus a tiki bar overlooking the pool area. The lagoon pool has a rock fountain and offers a jacuzzi spa as well. A savvy concierge department can guide you to local area attractions as well as offering restaurant recommendations. Shuttle service is available for the short ride to Duval Street.